Shallow Inlet - end of Victoria's premier spot? 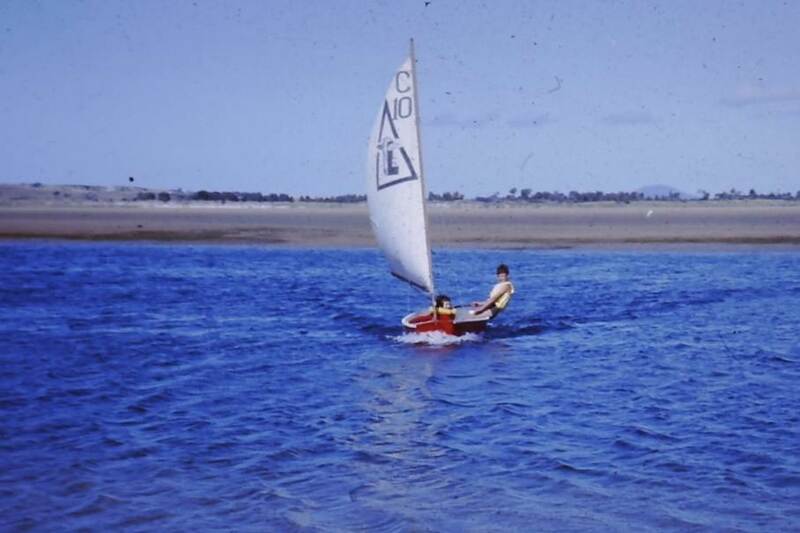 I first started windsurfing at Shallow Inlet in 1992 on a trip with Melbourne University Windsurfing Club. 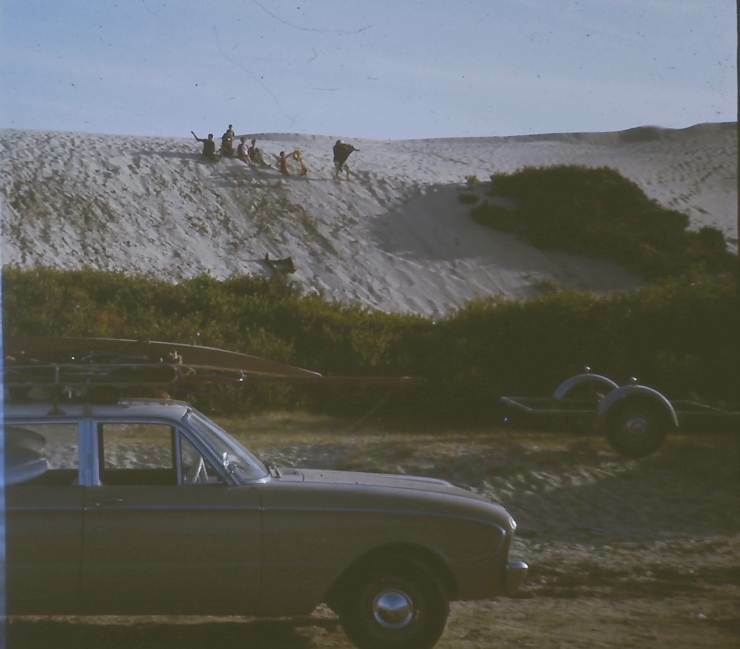 At that time I recall that there were very few dunes at the inlet, including where we park our cars. The wind barrelled across from the surf beach uninterrupted and it was possible to sail on a WSW and even a Westerly. It was amazing. 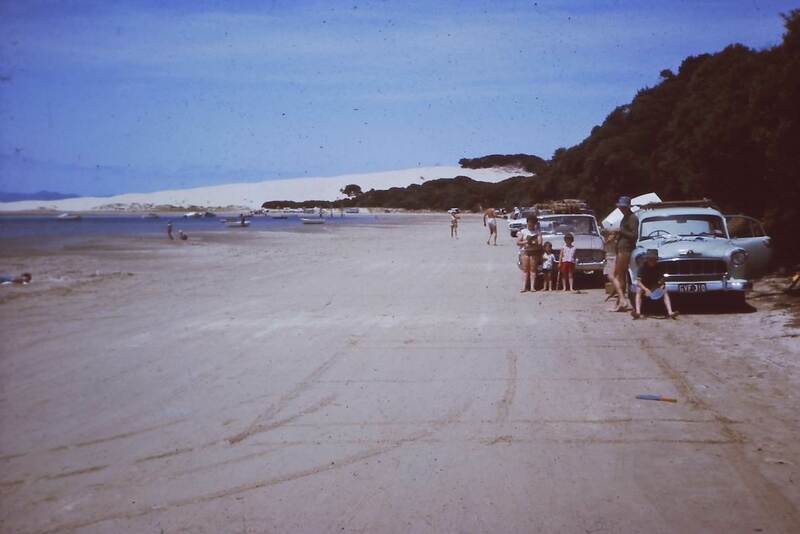 Fast forward 20+ years and the dunes have grown exponentially and have essentially ruined our great sailing spot. There are huge dunes at the car parking area, and now there are dunes growing all along the spit which are growing bigger year by year. It has been impossible to sail on a WSW for some time, and now sailing on a SW is getting pretty crappy. In the next 1-2 years the dunes on the spit will likely close out the wind completely so that it will only be possible to sail Shallow Inlet on an Easterly. The great days of sailing the bend on a perfect SW at Shallow Inlet will be gone forever. As I understand it this has all been an unnatural process as a result of an introduced South African grass. The native grasses that exist in the area are unable to take hold in the harsh weather conditions, but this exotic "weed" can put down deep roots and hold its place, leading to sand collecting on the lee side of the grass with resulting growth of bigger and bigger dunes and then more vegetation taking hold. I am not totally sure of this but I understand that this South African grass was introduced to stabilise the dunes further up the beach near Sandy Point township but of course it has made its way down to the spit. So... have we lost the premier flat water windsurfing spot in Victoria (or even Australia) forever? Is there anything that can be done to recover our great spot? Is there any environmental authority that might be interested? Or is it all too late? Maybe Kato can advise if Parks Vic have a strategy related to Marram Grass. We're seeing the effects of it here in Inverloch too. Marram grass was used on the main surf beach for dune stabilisation. Now we've got this happening due to the dunes being too steep and the winter wave patterns (shorted wave period & steeper waves) not being able to slide over the dunes, now they just eat away at them due to the increased gradient. On the plus side (if there is one) there's some pretty cool banks in the entrance here at Invy now since all the sand has shifted from the main beach! I sailed there for the first time in a few years and could not believe the growth of the dunes. A very on-off-on again experience down the course. I can see the headlines now- "Windsurfers encourage dune erosion for their own selfish purposes". I certainly share the sadness, disappointment and frustration, but suspect the biggest challenge would be political. Do rabbits or cane toads eat the marram grass?? Don't know, I'm pretty sure something will eventually learn that it's good tucker, the question is " How long will it take?". Just done a 5 year stint in weed control, it's a losing battle, I've thought about the question a lot. Most things must start off weedy. The Norfolk Island Hibiscus for instance is a weed in the Illawarra but on Lord Howe Island it is native, stunted and insect bitten. Lord Howe Island is fairly recent in evolutionary terms, only popped up as a volcano 7 million years ago. The hibiscus would have gone weedy when it first came to LHI, hitching a ride on a seagull, but now it's settled right down. There must be a reason the local grasses aren't as effective at colonising dunes as Marram, they've had long enough to evolve, maybe they divert resources to protection against something local that crops up every now and then or something that's there all the time but just hasn't yet adapted to attack Marram. Give it time, this is not the first time plants have jumped a fence, it's the Anthropocene, a whole lot have jumped at the same time, a lot of readjustment to be done before nature gets back in balance. No it'd be less than that. 10,000 years ago England was covered in ice. The first plants to recolonise would have had the jump, but it appears to have been a balanced ecosystem by the time humans returned. I'll go for somewhere between 100 and 8,000 years for the marram grass to be held in check naturally. I've no problem with you all trying to hurry up the taming of marram grass. We've fiddled with everything else why not? But you'll have a battle with parks. It's a straightforward process to control it if you have permit and resources. Phred Dobbins in Stewart Island manages the project which can be challenging logistically due to the remoteness of the location. Control is by use of 'Gallant' a herbicide specific to grasses (pingao is a sedge) and an ‘Argo’ – an 8-wheeled vehicle, complete with a 250-litre spray tank and two long hoses under pressure from a petrol pump.Large areas of marram are now controlled by helicopter. This is what it looked like last week. Sorry about the footage but I was actually preparing to do a pano not video and it is straight from the camera but it clearly shows it. I have been going there for the last 10 years and you can certainly see the changes. Will see if I have some footage from a few years ago. Depends who runs it, all authorities differ. If it was run by a council like we've got here it's just a matter of saying you have an interest in bush regeneration at such and such a site and away you go. There must be about 50 such volunteer groups here but we cover less than maybe 10% of the weedy coastline. There's a couple of council officers dedicating to helping out the groups, checking every now and then to make sure they aren't poisoning the wrong things. You sure there isn't a volunteer scheme run by Parks Victoria that you could hook on to? here you go google is your friend. Many years ago when i was a kid, my folks would head to the you yangs once a year for a community 'boneseed pull' to yank as much of the bonseed weed up there as they could, to try and stop it taking over the place. Why couldn't a windsurfing group/club have an annual working bee at Shallow Inlet in collaboration with the local council and/or Parks Vic to spray the place? Sure, someone would have to stump up for the roundup (or whatever is needed), and we'd need a lot of backpack sprayers, but at least it might run a chance of doing some damage to the Marrum and halting its spread if done strategically?? ....heh ... nice story... anyone got any popcorn, I might sit back and watch it unfold. So what species is it Kato? We'll google up something that does work. Though I reckon roundup works on anything if you spray it once a month till it gives up. They've been spraying some patches of Marram at my local Woonona beach which is now looking pretty dead. When I worked with council we only ever used roundup on the beaches but I didn't get to do that much with Marram so I'm not sure. I'll check with the contractors when I run into them. Parks may be reluctant to let outsiders in to help, but it does seem they have a system for volunteers in place, so all is not lost. They may think it's just the ulterior motive that's promoting your "greenness". Sandy Point Township must be outside the park boundary, maybe you could organise a volunteer group to control the weeds around the surf club. After a couple of years you'd be able to demonstrate what a good job you can do, that you know a spinifex from whatever the problem weed is, that you really are green at heart. Then apply again. If you compare the picture pasted below to the great footage captured by Rosobot you can see that there is an incredible difference over a couple of decades. As you can see there is bushland with large Acacia growth that has taken hold a few hundred metres up from the car parking area. Rosobot's footage suggests to me that this bushland will continue to extend further along the spit. There is a great paper published on the internet by a CSIRO researcher Petrous Heyligers which lays out very clearly the role of the introduced grass species and the changes that have occurred - www.rbgsyd.nsw.gov.au/RoyalBotanicGarden/media/RBG/Science/Cunninghamia/Volume%209%20-%202006/Cun94Hey571sm.pdf It makes for interesting, albeit heavy, reading. The paper was published in 2006 and a lot has happened since. I have tried contacting Petrous because I wanted to find out if he had been back since 2006 and also to find out if we could do anything, but I haven't been able to track him down. Unfortunately it is not just Marram grass (Ammophila arenaria) - the main grass to worry about is Thinopyrum junceiforme (sea wheatgrass or sand couchgrass). Both these grasses were introduced to the area to stabilise the dune system further up Waratah Bay (as I understand it). These grasses are very different to native grasses because they are able to withstand severe weather conditions that native grasses cannot, and have become established on the spit. In turn, local flora has been able to establish itself in the wind shadow of the dunes that have built up around the exotic grasses, leading to the development of even bigger dunes. 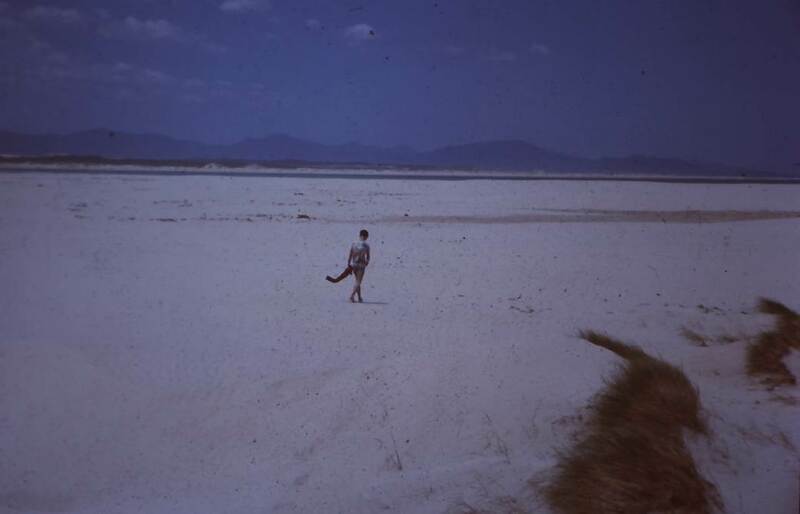 My understanding is that there is a rare and endangered bird species that nests on the flat sandy spit and its habitat (and therefore reproduction) is threatened by the growing dunes. Not too sure about details on that however. I have toyed with the idea of organising a meeting at Sandy Point community centre with interested folks (windsurfers and kitesurfers) , the Sandy Point foreshore committee, the Shire Council, Parks Victoria and ?other relevant authorities to discuss the issue. The main things holding me back have been: 1) time; and 2) the perception, as Mikey S says, of: "Windsurfers encourage dune erosion for their own selfish purposes"! Not a good look! There is probably not much that can be done, but I feel better for having got it off my chest. If there was enough grass roots interest (forgive the pun) we could perhaps organise a meeting over summer. Interested to hear Kato's thoughts on whether a meeting is simply a waste of time. That image and the one from last week shows how much has grown up. Roundup and ocean is possibly a big issue and the fish may not like the wetting agent. You could get in touch with the Lord Howe Island Board for assurances that wetting agent is not a problem for marine life. I worked there with the weed team for a while. Access to most weedy locations locations is so difficult that when they get there they don't muck around. And you don't get much more precious than Lord Howe Island, World Heritage, Commonwealth Marine Park, worlds most southerly coral reefs, tourist hot spot. They make good use of volunteers also. When you consider the terrain and the original weed problem they have done a mighty job. When it comes to weed control, they're right up there. But then again you've got to look at it from Park management's point of view. What if it comes to light that something has gone wrong. And despite the best of intentions these things happen, a rare and endangered plant gets accidentally poisoned, a ground nesting bird gets trampled, fish wash up on shore at the inlet for an unexplained reason. If you were dyed-in-the wool volunteer environmentalists with 10 years of bushland restoration experience in the surrounding area Parks might be confident to let you go at it with minimal supervision. But a bunch of windsurfers! If anything went wrong it'd be a PR disaster. Parks would need to allocate a high level of supervision to ensure against that and supervision costs money. Sorry Kato, you're right. There's good reason it won't happen. From my observations since 1960, was the planting of Marram grass around 1970 on the big sand dune that actually kicked off the process. Another introduced weed which makes those fringe shaped clumps on the spit also played a big part. But once the process is started by the introduced weeds, the native plants can get a hold and so it continues. The moment of the entrance has been described (Cummins - circa 1990) as a 100 year cycle, give to take. Keane Pilkington told me that in the 1920's and 30's, when he a a child, the entrance was directly out though what is now the big car park sand dune and the 'boat hole' is the remains of the entrance channel. There was a jetty about where the BBQ now is, and, as a child there in 1960's, I remember seeing the remains of the piles. The entrance was only about 1.5km SE of the car park when I was a child and we trekked down to it over the 'desert'. That is where I learned to sail in my Sabot, the 'Flying L' . The boat hole was larger and deeper then. 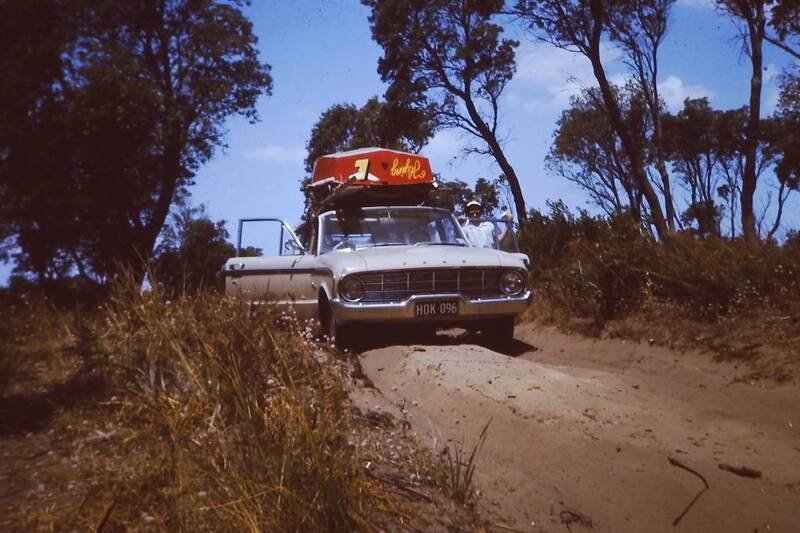 The 'road' from Sandy Point to the inlet was a little more of and adventure in those days! Suzy Cummins obtained old photographs and charts/maps going back to the very earliest european exploration and settlement when she did her thesis on the spit in around 1990. Her conclusions were that the position of the entrance and the development of the sand spit appeared to be cyclic and proposed that the time scale is around 100years, or has been in the recent past. The entrance gradually moves SE until it gets to some rocky barriers (close to the current position) and then as the tide delay, and water level difference gets greater, a new entrance eventually breaks through the sand spit somewhere near the current speed course during a big storm surge or series of surges. Then the whole cycle repeats. From her theory, we must be very close to that point now, but the introduction of the weeds and the buildup of dunes may have seriously changed the situation. At best, the entrance will break out again and over the next 50-60 years a new speed bank will form. I hope to be around to sail it! Epic speed sailing can still be had but the wind direction window is a lot smaller. Best high wind speed sailing is in WSW. Best general B&F is still SW.
Torching the immediate area with the right weed poison is the easy part, but has anyone stopped to think about how this happened? Marram was not planted at Shallow Inlet. It was planted way up the beach near town to stabilise the dunes around the surf club. Unless the whole beach is torched the full length - it's a waste of time. It will come back just as it did previously. After that, we watched how is slowly got a hold and crept out onto the spit, very slowly at first, an then as it gained a foothold and provided shelter and stability for other plants, the rate accelerated. In the aerial shot (screen shot from video) "Speedsailing Sandy Point Easterly" you can see the process of other bush species establishing has already taken hold. Compare this to the 1961 photos from pre-planting. Thanks Sailquik for the fabulous history lesson - great to have such wonderful insights into the progression of vegetation on the spit over decades. Interesting to hear that marram was deliberately planted on the dunes at the inlet in the 70's - bummer! 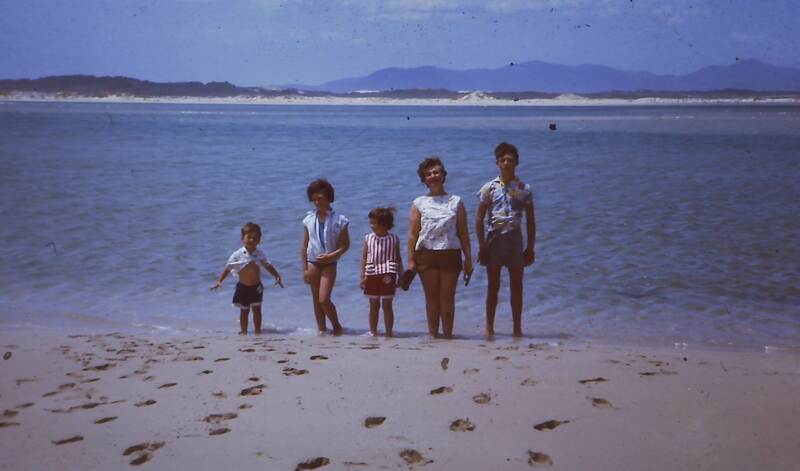 The early photos are fantastic - amazing to see just how flat the spit once was. I especially liked the "road to shallow inlet" photograph. It is quite incredible to think that the boat-hole was once connected to the ocean. However, with the vegetation that is now in place and the massive dunes that have grown up, I can't imagine that the 100 year cycle will be realised again. Indeed I wonder whether it might be possible that the entrance, which is getting smaller and more treacherous year by year, might eventually be closed over and no new entrance formed. I agree that the bank is still good on the right wind (SW only), but I would say that it is good to very good and not as amazing as it once was. But I guess that we just make the most of it while the we can. The easterlies for me have become the best sailing now at Shallow Inlet. Interested to hear from Kato how he goes with further "chats" re: the authorities getting engaged in this. PS Sailquik - do you know who (i.e. 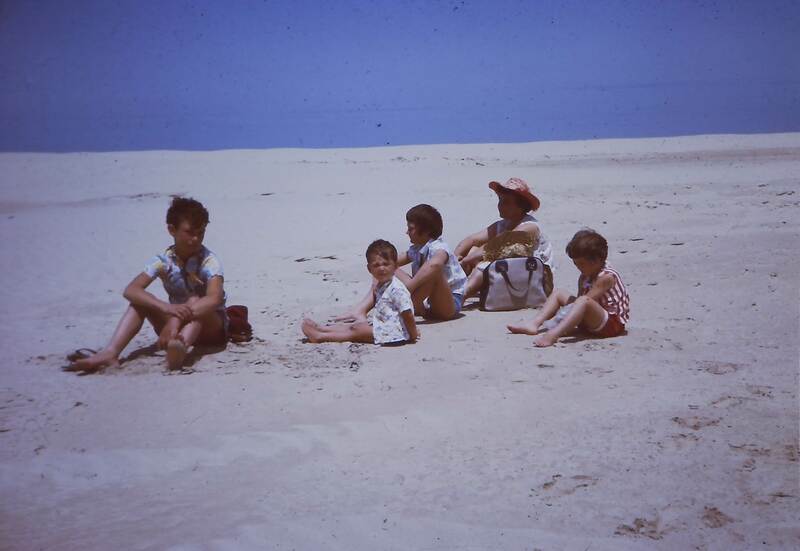 which authority) planted the marram in the early 70's? It was the DMNC = 'Department of Many Name Changes'! Can't remember what they were called then, but the department who thought they knew all about 'conservation' but really knew bugger all. The same strategy was practiced all around the victorian coastline at the time using the same introduced plants. 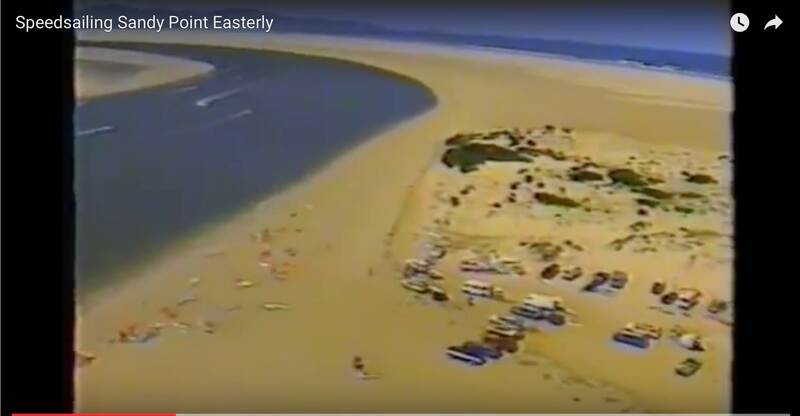 Interesting, that when a major management plan was boing developed in about 1990, and public consultations were being sought, (Sandy Point Sailboard Club made submissions) I brought the topic of Marram grass planting up with the head of the project in 'DMNC'. They told me that Marram planting was not done any more and it was now considered bad policy to use introduces grasses. They agreed it should be got rid of, but even then they were not able to do anything because of lack of funds (and, I got the impression, probably political will).
" They agreed it should be got rid of, but even then they were not able to do anything because of lack of funds "
Well, if funds are the only issue, then I'm more than happy to show up with a tractor and one of those giant rakes, or even a working bee with hand tools. This spot is the reason I moved to Australia, it is the best natural speed sailing spot in the world, and that must mean something. Show me any piece of land and I can dig up evidence of some "rare" or endangered species - well, that species didn't live there before the grass took over. If you remove their habitat, they will go and live elsewhere, animals are not as inflexible as what most people think. I live on this earth as much as any animal, and am as much part of it - why should my happiness be put second to theirs? How much money would we need to raise? Would Parks provide equipment if the volunteers paid for weed killer etc? What time of year would be most optimal from weed destruction, fauna protection etc?